Yesterday I learned that the market at the end of Mashdots Street, which is a historical landmark, was slated to be demolished. But today on News.am, I saw a photo of the rear of the building completely destroyed. The photo and story were published late Monday morning (on Independence day of the First Republic). 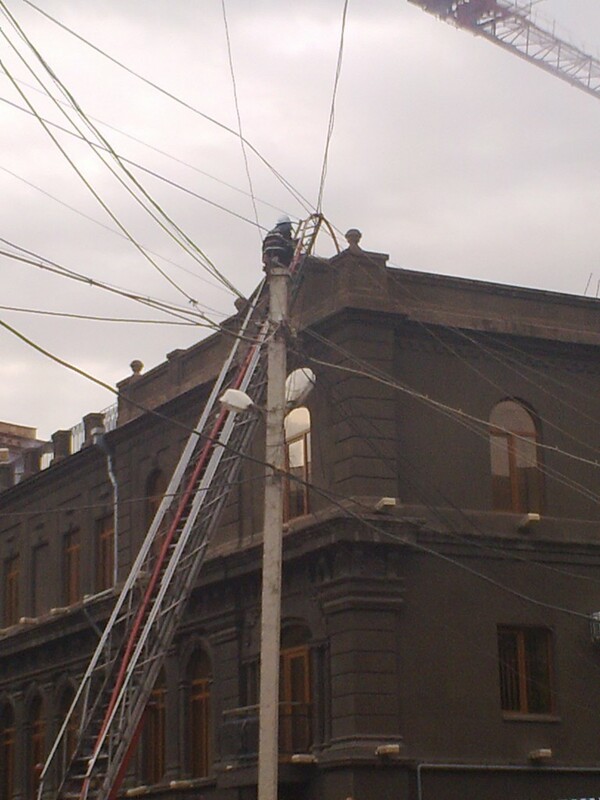 Hetq reported that Yerevan Mayor Taron Markarian said the recent work undergone was not authorized. Two weeks ago while walking by the building I noticed that a steel fence had been erected around the entrance of the building. I thought that meant it was going to be restored since there are renovation projects of building exteriors citywide. 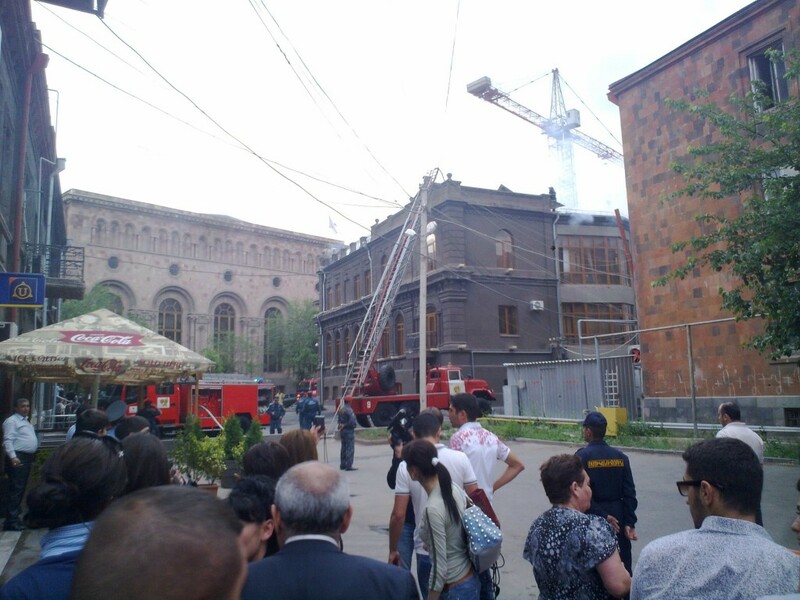 Turns out that the building was sold to the oligarch and Republican member of parliament, Samvel Alexanyan who is infamous for controlling a monopoly on sugar and flour imports, gouging consumers, and selling inferior vodka as genuine at high prices in his City Yerevan supermarkets, which are popping up all over the place. He wants to convert the market into yet another gigantic supermarket and destroy it in the process (he says otherwise). People are already starting to protest the demolition but it will take a lot of mobilization to stop him from completely taking the market down, although the Ministry of Culture insists that somehow the architecture will be preserved. Sounds a bit empty considering that half the building is gone. Questions begged to be asked: Who approved the sale of a historical landmark and who was consulted before the building was sold? Did the transaction occur in secret? If not, was there any movement to stop the sale in the first place? Why weren’t concerned citizens investigating the reason for the market’s closure, especially the sellers? Who else knew about what was planned for the market, and why wasn’t it discussed beforehand? Why didn’t the press break the news sooner, long before the building was damaged beyond repair? There were videos of the parade and protests against it on the Internet, which showed chaotic scenes and it wasn’t clear at first who was on what side until I read an explanation from my cousin Haig as well as some news reports. 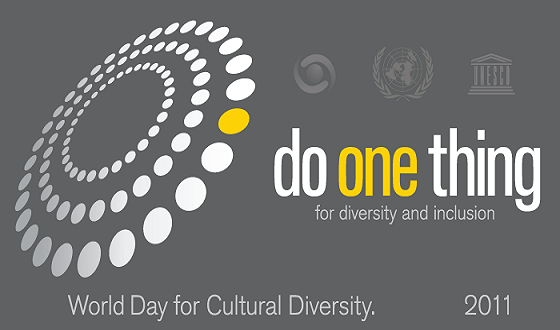 To shed light on the situation he wrote “Today is International World Cultural Diversity Day. 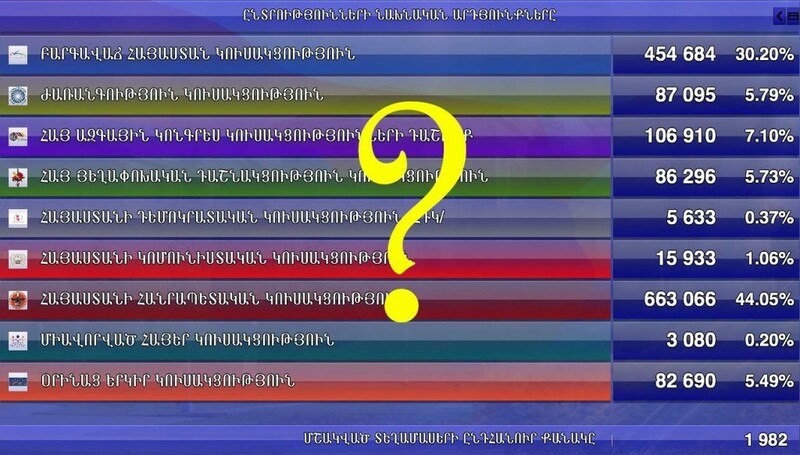 So www.pinkarmenia.org along with some other organizations held a Diversity March. This was interpreted as a gay parade and these cavemen showed up singing old Armenian revolutionary songs and started harassing the marchers calling them names and spitting on them and even attacking them physically. 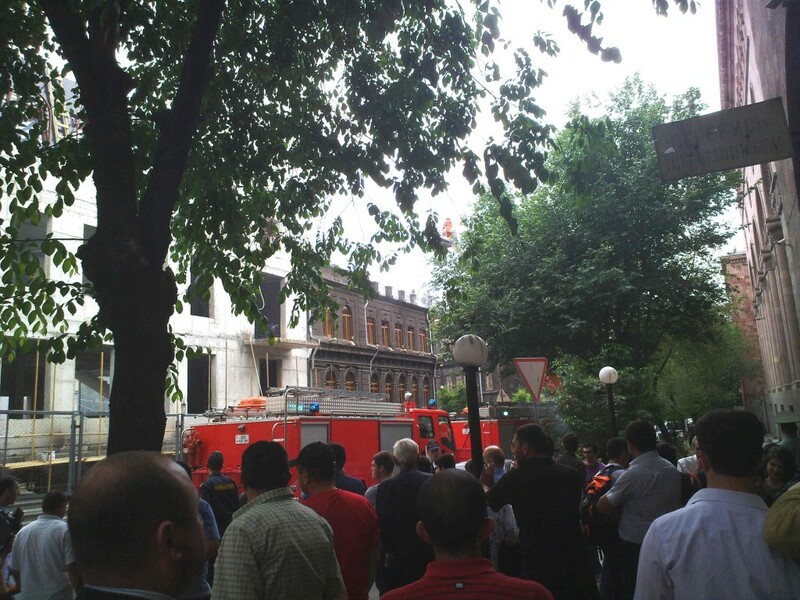 They kept chanting ‘send the fags to Baku’ and ‘you’re not Armenians’ and ‘you are Turks’. 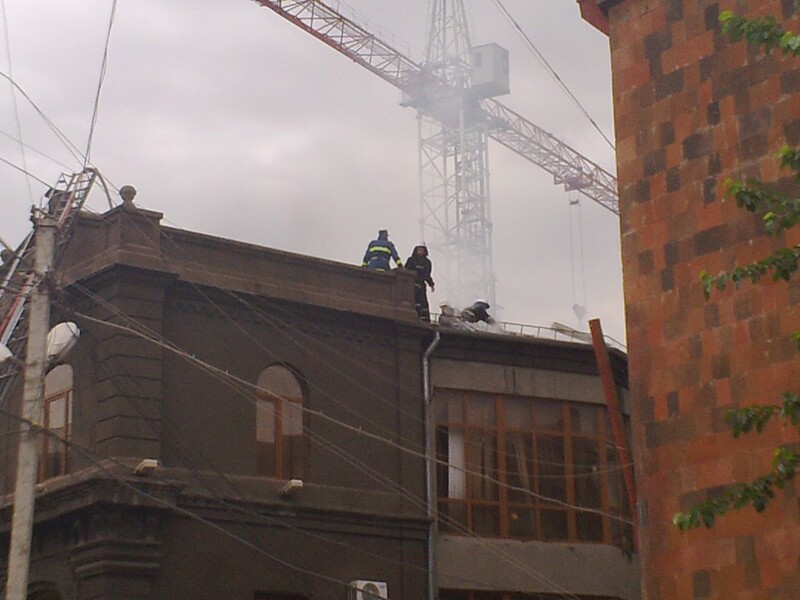 Then they blocked off the final end location of the march” which was the Painters’ Union on Abovyan Street.